FARO is the world’s most trusted source for 3D measurement technology. The Company develops and markets computer-aided measurement and imaging devices and software. Technology from FARO permits high-precision 3D measurement, imaging and comparison of parts and complex structures within production and quality assurance processes. The devices are used for inspecting components and assemblies, rapid prototyping, documenting large volume spaces or structures in 3D, surveying and construction, as well as for investigation and reconstruction of accident sites or crime scenes.FARO’s global headquarters are located in Lake Mary, Florida. The Company also has a new technology center and manufacturing facility consisting of approximately 90,400 square feet located in Exton, Pennsylvania containing research and development, manufacturing and service operations of our FARO Laser TrackerTM and FARO Cobalt Array 3D Imager product lines. The Company’s European regional headquarters is located in Stuttgart, Germany and its Asia Pacific regional headquarters is located in Singapore. 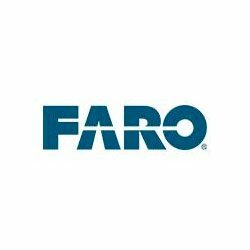 FARO has other offices in the United States, Canada, Mexico, Brazil, Germany, the United Kingdom, France, Spain, Italy, Poland, Turkey, the Netherlands, Switzerland, India, China, Malaysia, Vietnam, Thailand, South Korea, and Japan.